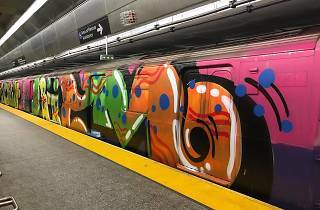 A train on the Second Avenue subway line got a fresh coat of paint over the weekend. 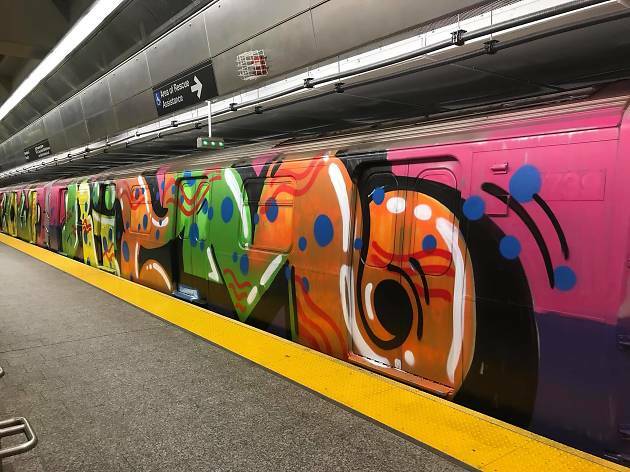 A member of the Progressive Action Facebook group posted photos early Monday morning of a Q train that was apparently graffiti bombed overnight while parked near the 96th Street Station. It's unknown how long the train was in operation before being pulled out of service for a clean up. Though the trains are normally spotless (or wrapped in paid advertisements) these days, New York City's subways have a long history of serving as a canvas for artists. Many painters have moved from unsanctioned transit art to more legitimate gallery-artist careers: Street art icon Chris “Daze” Ellis, for example, who we talked to earlier this year, discussed making the transition. The days of fully covered subway cars, as captured in '80s hip-hop film Wild Style, are clearly over, but it seems that for some the appeal of a quick throwback is just too great to resist.